Enter a world of pure imagination! 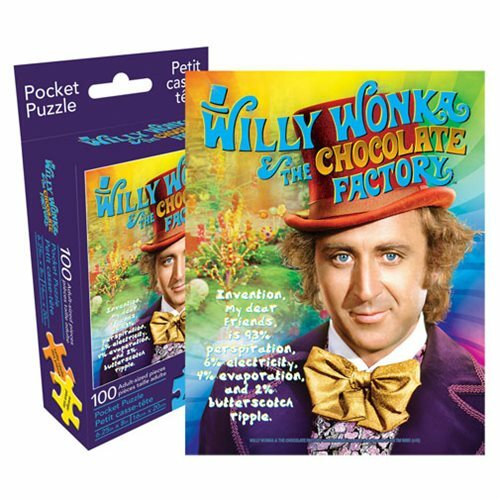 The full color Willy Wonka and the Chocolate Factory 100-Piece Pocket Puzzle features imagery from the 1971 film starring Gene Wilder. This little gem measures 6 1/4-inches x 8-inches when completed. Ages 14 and up.